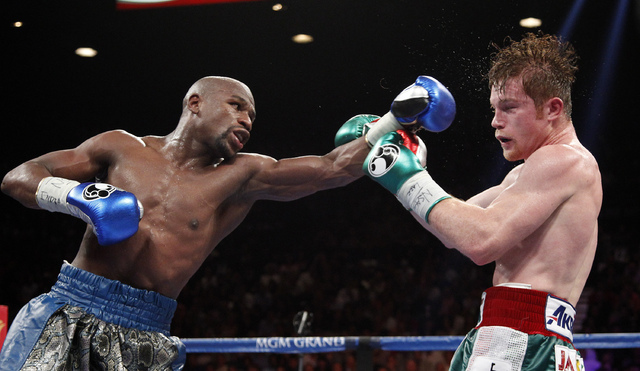 Saul “Canelo” Alvarez was viewed as Floyd Mayweather’s toughest challenger when the two boxing stars met at the MGM Grand Garden Arena four years ago. 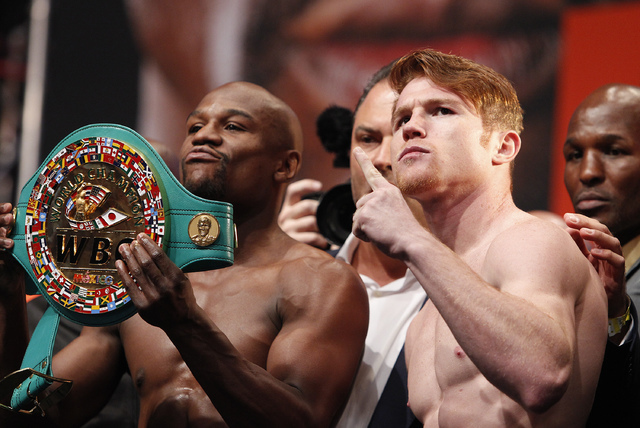 Saul “Canelo” Alvarez was viewed as Floyd Mayweather’s toughest challenger when the two boxing stars met at the MGM Grand Garden four years ago. 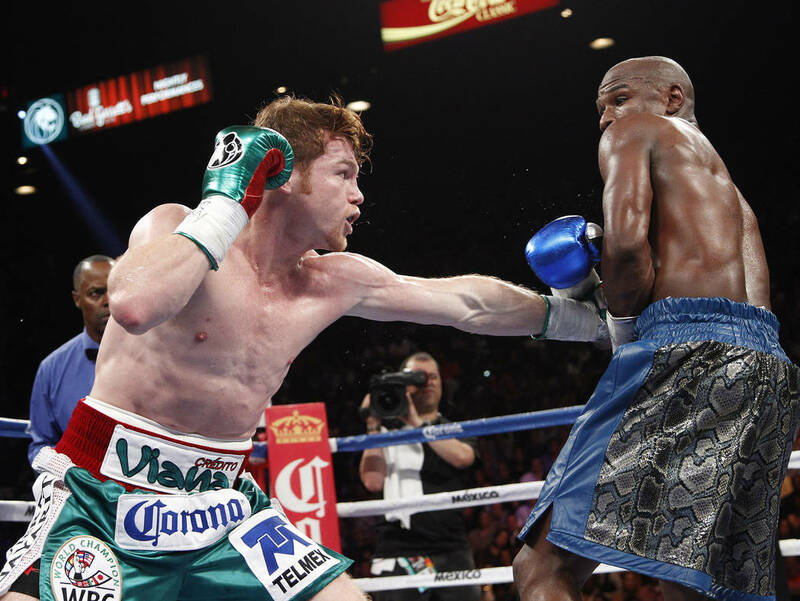 In reality, the younger, stronger Alvarez didn’t stand a chance against the brilliance of Mayweather. The undefeated boxer toyed with the rising Mexican star for 12 rounds, dominating in every aspect despite the egregious scorecards from the judges. 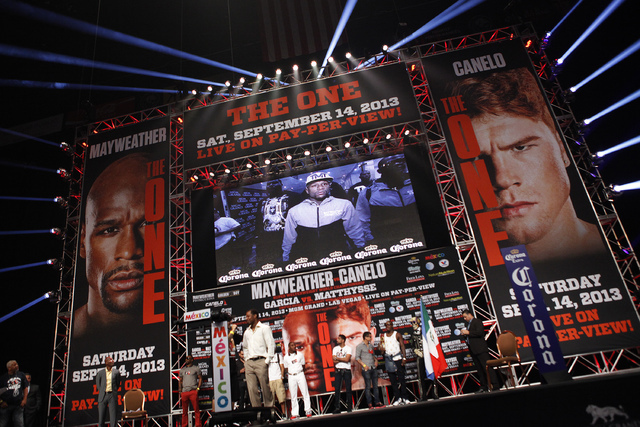 Mayweather won by scores of 116-112, 117-111 and 114-114 to improve to 45-0. A live gate record of $20 million was set and the pay-per-view buys were north of 2 million because many believed Alvarez’s power had a chance to break through Mayweather’s defense. The uppercuts and hooks to the body never came from Alvarez, then 23, who made the mistake of trying to outbox Mayweather instead of brawl. It was a dreadful performance from Alvarez and his trainers, but the loss didn’t hurt Alvarez’s star power. 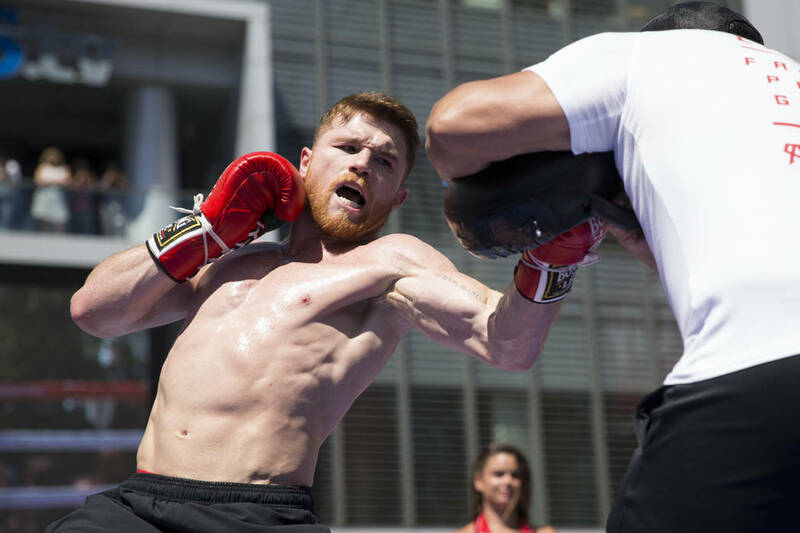 He is by far Mexico’s most popular fighter and is starting to become a household name in the U.S. thanks to his memorable Tecate commercials with Sylvester Stallone. 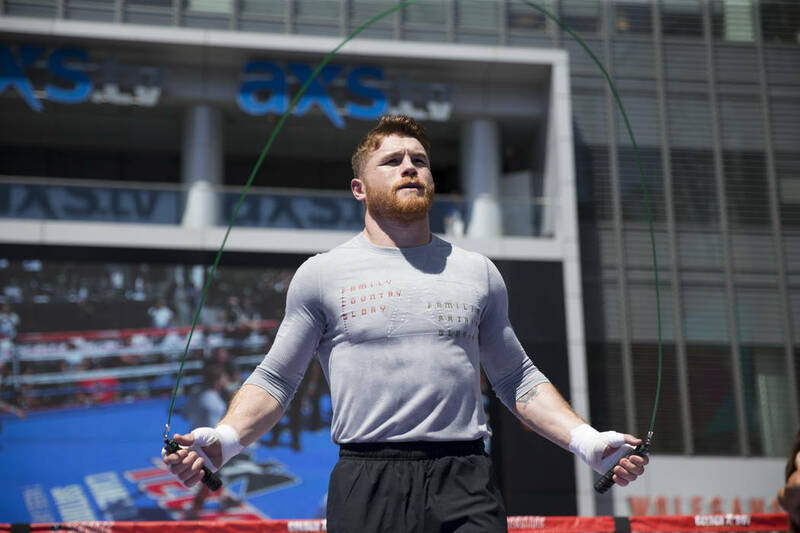 Alvarez (49-1-1, 34 knockouts) has taken the mantle from Mayweather as boxing’s most watched fighter, and he has another blockbuster pay-per-view bout Saturday against Gennady Golovkin (37-0, 33 KOs) in a middleweight showdown at T-Mobile Arena. It’s Alvarez’s grand opportunity to prove he’s more than just a marketable pretty face. 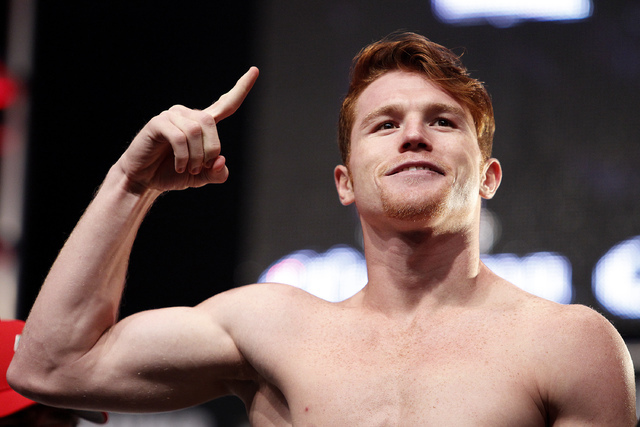 This is Alvarez’s moment to solidify himself as boxing’s best pound-for-pound fighter. Alvarez, 27, has improved drastically since the Mayweather bout. He’s 7-0 with four knockouts, but none of those opponents are in Golovkin’s class. Many view Golovkin as the sport’s best fighter. Alvarez, the lineal middleweight champion, crushed Alfredo Angulo, James Kirkland, Liam Smith and Amir Khan, who didn’t belong in the ring with Alvarez after moving up two weight classes. The former two-division champion struggled against Erislandy Lara in 2014 but escaped with a split decision. Alvarez dominated Julio Cesar Chavez Jr. in May but failed to drop the much bigger Chavez in his debut above 155 pounds. To many, Alvarez’s best performance since the Mayweather fight was against Miguel Cotto two years ago to win the WBC middleweight belt that led to Golovkin being his mandatory challenger. Alvarez, who thrives off counter shots, arguably has the strongest combinations in the sport with vicious hooks to the body that end with an uppercut or power right-hand to the head. But does he have enough power and hand speed to slow down Golovkin, who prefers to fight forward and doesn’t mind taking a punch? The three-belt middleweight champion had a streak of 23 knockouts snapped in a unanimous decision over Daniel Jacobs in March. Golovkin, 35, and his trainer Abel Sanchez have said the only reason why Alvarez and his promoter finally accepted the fight after a two-year delay was because Golovkin didn’t knock out Jacobs. Sanchez has stated that Golovkin lets himself get hit at times to make his possible future opponents believe they have a chance if they accept the challenge against the Kazakhstan brawler. 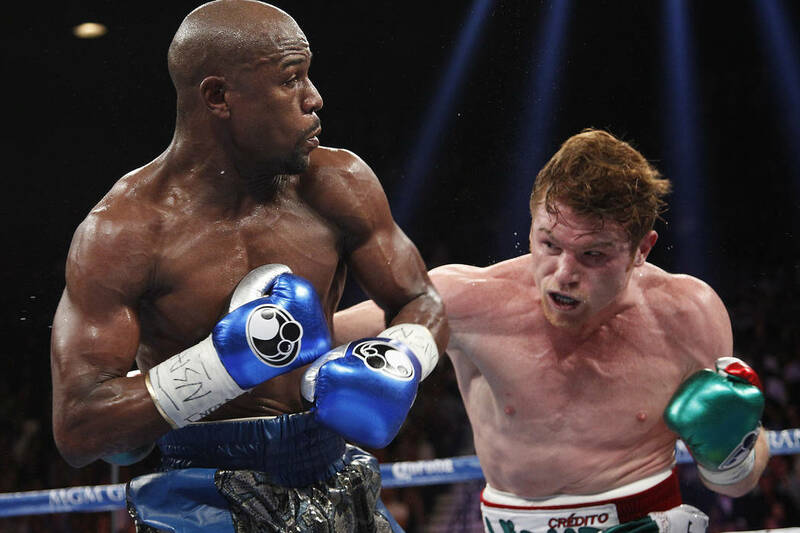 Alvarez said he hasn’t thought about a rematch with Mayweather since he retired in 2015. He didn’t even consider it when Mayweather came back for the Conor McGregor match on Aug. 26. He’s focused on his second grand opportunity and he plans to capitalize on it. Adalaide Byrd, Dave Moretti and Don Trella were selected Monday by the Nevada Athletic Commission as the judges for the Alvarez-Golovkin bout. Kenny Bayless was chosen as referee. Opponents: Alfredo Angulo, Erislandy Lara, James Kirkland, Miguel Cotto, Amir Khan, Liam Smith, Julio Cesar Chavez Jr.
— Randy Caballero, Diego De La Hoya, 12:15 p.m.